KEY WEST, Fla. -- Three groups of Cuban migrants totaling 51 people have landed in the Florida Keys. The Monroe County Sheriff’s Office said the groups landed Sunday between 5:30 a.m. and 7:40 a.m. The first group of 11 migrants landed in the upper Keys in Tavernier. The second group of 22 migrants landed just north of Key West. The final group of 18 landed about 25 miles away on Big Pine Key. It was not immediately known if the groups were connected. Under the so-called federal “wet foot, dry foot policy,” Cubans who reach U.S. soil are generally allowed to stay, while those intercepted at sea are usually repatriated to Cuba. 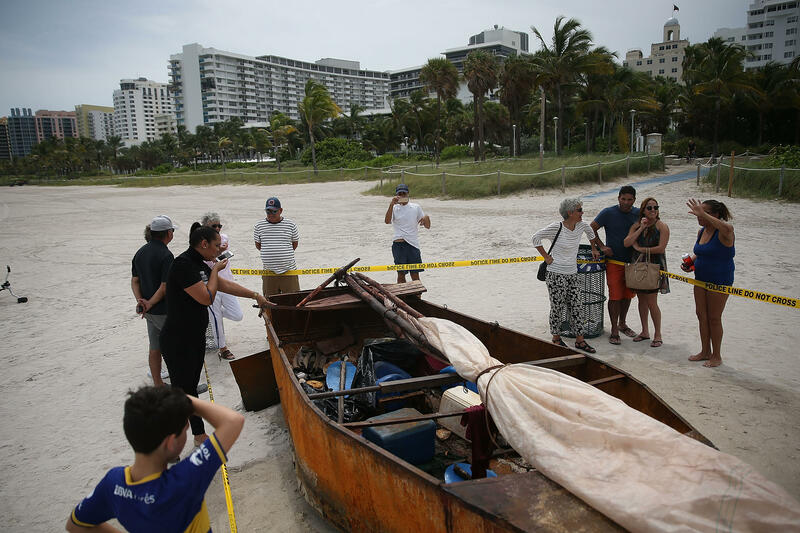 According to the U.S. Coast Guard, fears about that policy potentially ending have caused a surge in the numbers of Cuban migrants. U.S. President-elect Donald Trump has vowed to “reverse” the efforts by President Obama to normalize relations between the two neighbour countries. Mr. Trump’s team has not yet clearly iterated what changes could be in store for U.S. policy on Cuba, however, following the relaxation of travel restrictions ushered in by the current administration.